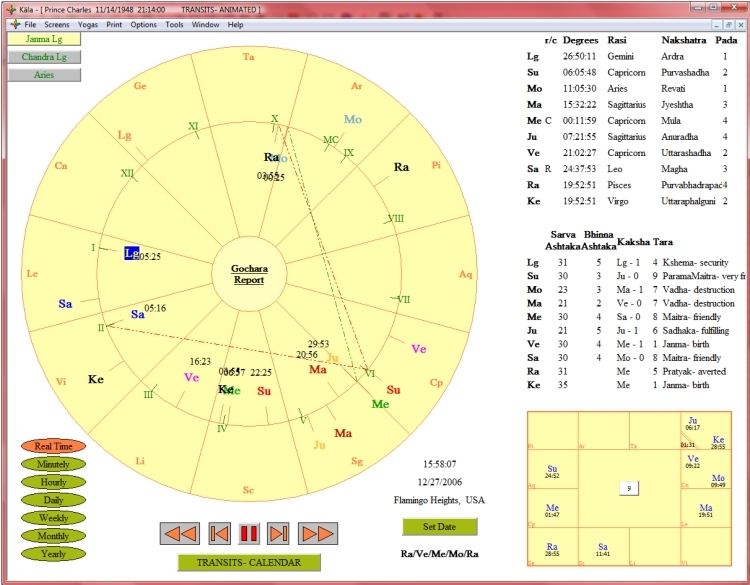 Kala also offers an Animated Transits Screen which displays an inner chart, which is the birth chart, surrounded by the transiting planets. Transits can move in Real Time, or be set to update every Minute, Hour, Day, Week, Month or Year. Ashtakavarga points for the transiting planets are also shown. Exact aspects and trines between the transiting planets and the natal planets are shown by dotted lines - these are the Transits considered important by Phaladeepika as they are the transits that that trigger events. 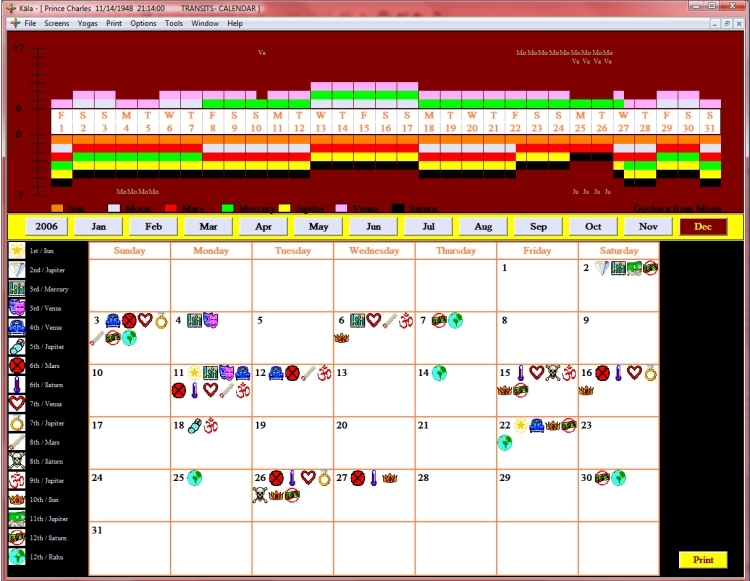 Finally, Kala's Transits Calendar Screen provides a great deal of visual transit information. At the top of the Transits Calendar Screen is a month-long time-frame showing the favorable and unfavorable transiting planets from the position of the Natal Moon. Planets in favorable positions are on top of the time line, planets in unfavorable positions are on the bottom of the time line. 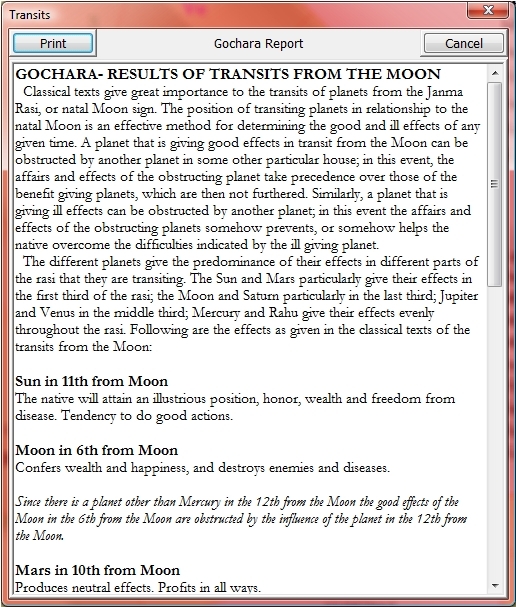 Planets that are obstructed through Vedha are also shown, in text, rather than in colored blocks. With this tool you can easily see the ups and downs of the transits during the month. Clicking on any day in the time-line pulls up the above mentioned Gochara Report. 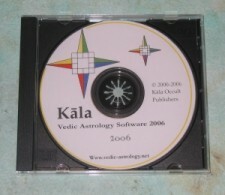 All these many transit features make Kala the finest of Transit Software.